Less Employee Cost + More Retirement Savings. 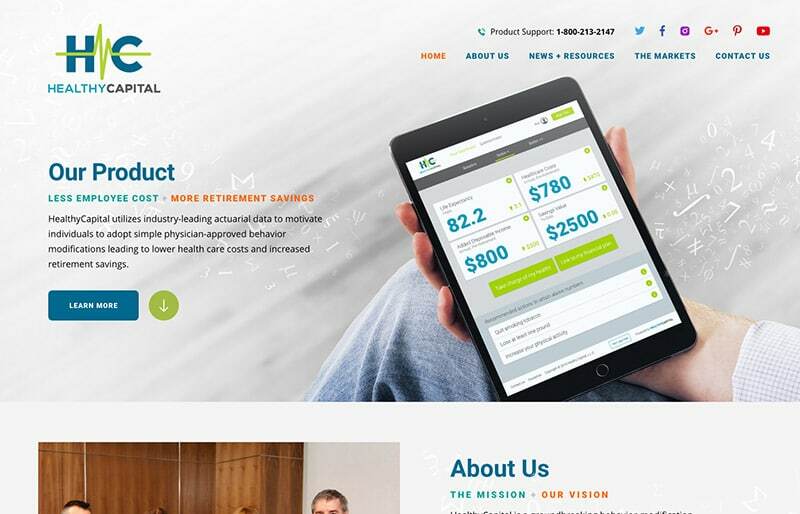 Healthy Capital provides a groundbreaking behavior-modification system that seeks to increase individual life expectancy and lower annual medical expenses through real-time data analysis. In simple terms, the application shows how getting healthy is not only good for the body, but also for the bank account (and ultimately, long-term financial goals). Their vision is to reduce the cost of healthcare for individuals and employers by using data to drive healthier behaviors. 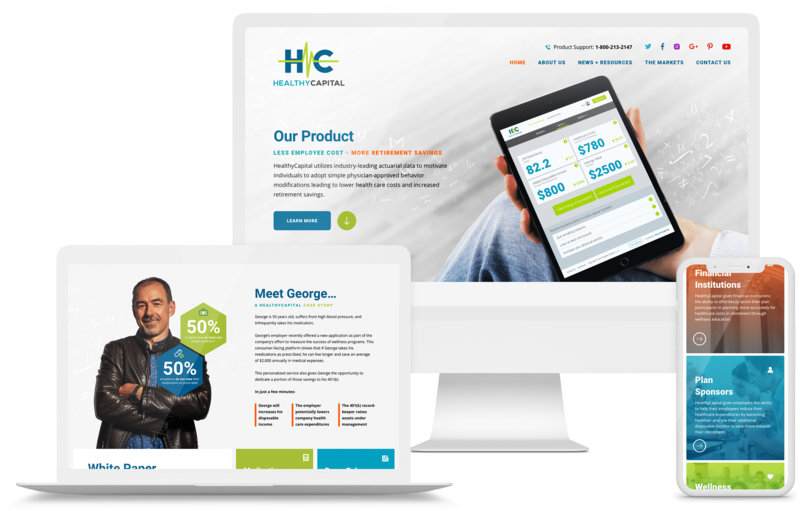 GoingClear Interactive was responsible for the design of Healthy Capital's new website. 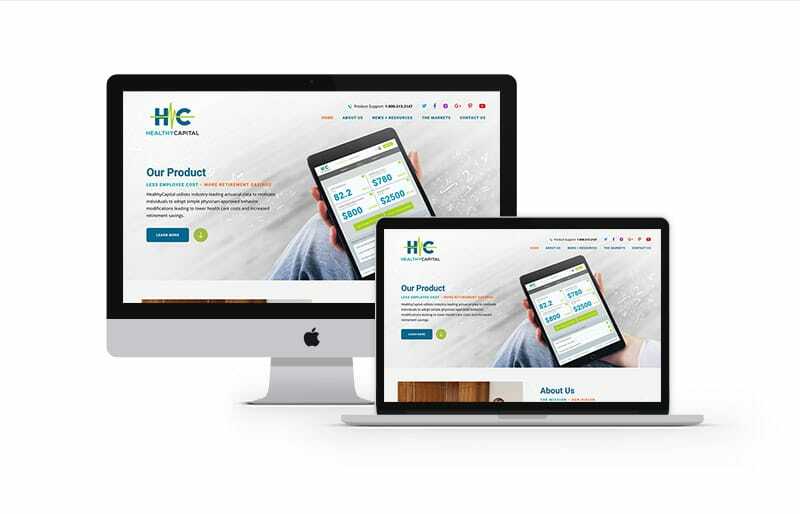 Our main focus was to place a high priority on the Healthy Capital application, while also creating a thoughtful and engaging Home page design. The Home page design is what sets the feel and tone for the rest of the website. We achieved this with teaser sections for the most important areas, vivid blue and green brand coloring, a modern type-face, and professional images.